Analyst Say Gold Could Hit $2,500 Per Ounce, The World Mercantile Exchange (WEX on Frankfurt Stock Exchange) To Benefit In A Big Way. Analyst Say Gold Could Hit $2,500 Per Ounce, The World Mercantile Exchange (WEX on Frankfurt Stock Exchange)To Benefit In A Big Way. Thomas Guerriero, CEO of WMX Group, Inc. (WEX on the Frankfurt Stock Exchange) parent company to The World Mercantile Exchange, expects to benefit tremendously from the recent analysts projections that Gold can hit $2,500 per ounce in the next 12 months. The World Mercantile Exchange has created the safest and most secure proprietary trading platform for the buying and selling of real commodity products (Eg. Gold Bullion, Silver Bullion, Platinum Bullion, Palladium Bullion) across the globe, allowing members to achieve revenue growth through globalization. Gold Bullion as an investment has outperformed Index Funds, such as Vanguard’s Total Stock Market Index Fund by over 500% since 2001. 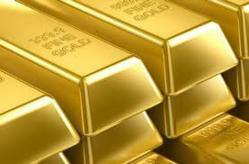 Tony Roth, head of wealth management strategies at UBS, predicts Gold could reach $2,500 within the next 12 months. As several of the major currencies weaken and a global economic squeeze takes place, investors from around the world are reverting to buy Gold Bullion as the answer. The safest and most secure place to do this is The World Mercantile Exchange. All Member Firms of The World Mercantile Exchange are ISO & Product Certified, allowing them to safely trade Member to Member in every country in the world. Those Exchange Members that buy Gold or any Precious Metals on The World Mercantile Exchange through a Certified Member have the option to hold the precious metals in several of the safest depositories in the world or take delivery of the commodity. The World Mercantile Exchange expects over a 60% increase in transactions in precious metals in the next 12 months. CEO of WMX Group, Inc. Thomas Anthony Guerriero said, “With trillion dollar economies in regions such as South Korea, taking steps to increase global trade, we only see a significant increase in the globalization of trade over the next 25 years. At The World Mercantile Exchange we expect to benefit greatly, by providing the most secure global trading platform, to all of these emerging economies, for many years to come”. As the Founder and CEO of WMX Group (WEX on the Frankfurt Stock Exchange), Thomas Guerriero located his offices in Harvard Square in Cambridge, Massachusetts, across the street from where he attended graduate school at Harvard University. “The ethnic and intellectual diversity in Harvard Square is unmatched anywhere in the world. The excitement and support we have felt from the community has been remarkable.” Guerriero brings with him over 13 years of experience in the financial sector, where he led three organizations to increased profitability during his tenure as CEO, leading all three companies to be acquired at a premium. Thomas Guerriero was instrumental in the growth of the retail division of First Union, contributing to the successful merger between First Union and Wachovia, which was the largest banking merger in US banking history. In early 2011 he became an owner of a professional basketball team, with the Springfield Armor in the NBA D League (The NJ Nets affiliate). The World Mercantile Exchange - has created the safest and most secure proprietary trading platform for the buying and selling of real agricultural products across the globe, allowing members to achieve revenue growth through globalization without massive upfront investment. WEX Sports, LLC– At WEX Sports, we have an ownership interest in several professional teams but we are not stopping there. With each day we move one step closer to our dream - becoming the majority owner of our teams from around the world. Whether NBA, NFL, MLB, FIFA, NRL, or any professional sports team we are constantly looking for unique opportunities to get involved at the ownership level. The Harvard Think Tank, Inc. –WMX recently acquired The Harvard Think Tank, a firm located in Harvard Square, to provide funding to the most elite start up companies in the US. The goal with The Harvard Think Tank is to give people a platform where they can pitch their game-changing idea to those involved with the Think Tank, and if the team likes the pitch, they can provide financing, advice, and assistance in building the venture, like an incubator for new ventures. As a result, The Harvard Think Tank has become the Company's venture capital arm. WMX Group, Inc. is a conglomerate holding company which has a vested interest, overseas and manages several subsidiary companies from around the world. The company faces a very stimulating global environment and tremendous growth opportunities. WMX has in the past taken positions in both publicly quoted stocks, but more recently has turned to buying majority interest or whole companies. They now own an interest whether wholly or part, in a diverse range of companies giving them a broad diversification across a plethora of industries. WMX Group, Inc. is an ISO Certified Company who is a member of: The Agricultural & Applied Economics Association, Canadian Agricultural Economics Society, The International Association of Agricultural Economists, International Food and Agribusiness Management Association, Food Distribution Research Society, and The Cambridge Chamber of Commerce.